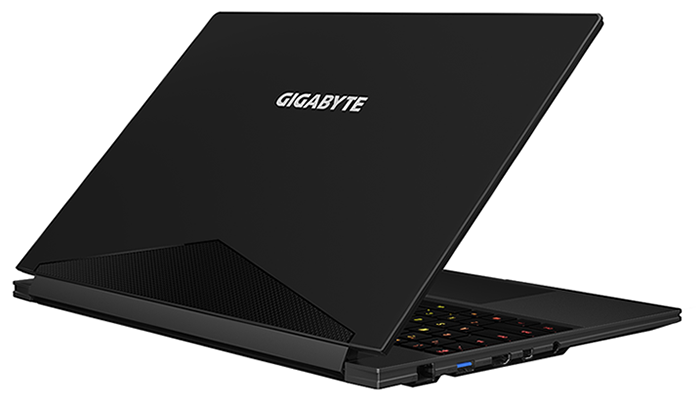 Less than six months have passed since the likeable Aero 15 gaming laptop passed through the HEXUS labs, but Gigabyte already reckons it can go one better with a mid-cycle refresh dubbed the Aero 15X. Why the urgency to launch a new model so soon after the original? It's an opportunity to get onboard the Nvidia Max-Q bandwagon. Said upgrade is reflected in price, which climbs by £100 to £1,999, but that's a small premium to pay for gamers seeking maximum framerate in a petite package. So what exactly do the newfangled Max-Q GPUs bring to the table, and how do they differ to regular parts? To fully understand why Max-Q exists, it's worth jogging your memory back to late 2016, when Nvidia chose to align the blueprint of its 10-series laptop and desktop GPUs, bringing an end to hamstrung M-series parts. The reasoning was sound - choose a GTX 1080 in your desktop or laptop and you know what you're getting - however there is a stumbling block. Modern laptops favour ultra-thin profiles that create hardly any noise, and anyone who has owned a GTX 1070- or GTX 1080-powered variant knows that such machines are typically bigger, louder and more brash affairs. Nvidia wants its best GPUs associated with the sexiest machines on the market, and the answer is Max-Q. Getting creative with the way it packages certain SKUs, the Max-Q variant of any 10-series GPU is effectively a cherry-picked part that is underclocked and geared to operate in a cool, calm and collected manner. Going back to a two-pronged approach, GTX 1070 Max-Q sits below the regular GTX 1070 and is hamstrung in a different way; whereas M-series parts often took the axe to cores and texture units, Max-Q will keep the full hardware compliment and shave off frequency to reduce TDP. Enthusiasts who shiver at the mere thought of an underclock on a premium PC will be turning away in disgust, yet there is merit to Nvidia's thinking. Sure, the branding could be better - GTX 1070 Max-Q is more of a GTX 1065, or GTX 1070 Lite - but the full-fat variants aren't going away, and Max-Q is at hand to offer a low-voltage optimised frequency curve for laptops that are thinner and quieter than before. Nvidia officially expects to see the range-topping GeForce GTX 1080 Max-Q in whisper-quiet systems measuring just 18mm thick, but laptop manufacturers will need time to deliver new designs built from the ground-up with Max-Q in mind. We anticipate seeing a range of such systems in 2018, but for now it's a case of shoehorning Max-Q into existing chassis, hence the Aero 15X. 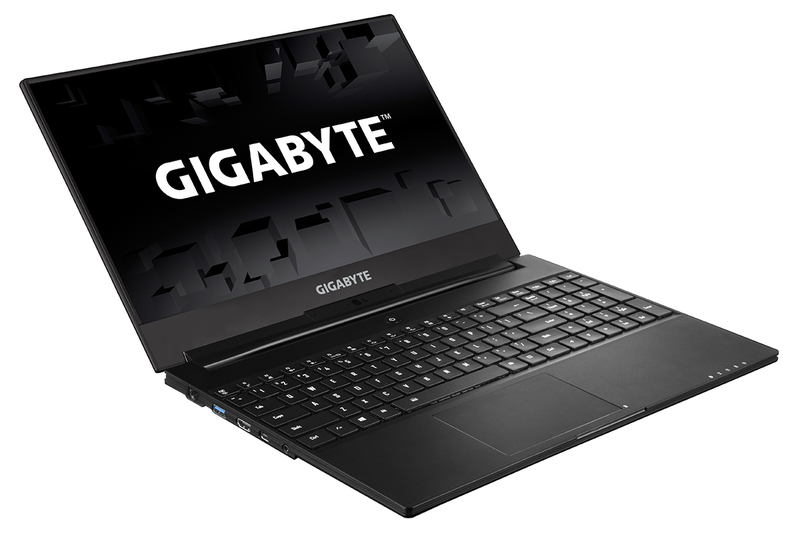 Numerous laptop vendors will be eager to introduce upgraded models, but on the face of it Gigabyte has delivered an early front-runner with this 15.6in refresh. Retaining everything that was good about the original, whilst adding a more powerful GTX 1070 Max-Q GPU, the Aero 15X has the feel of a solid laptop made better, and the make-up of the discrete GPU is such that power consumption shouldn't be any higher. Digging deeper into the specifications, we can confirm that the 2,048-shader Nvidia Max-Q chip is clocked to base and boost frequencies of 1,215MHz and 1,379MHz, respectively. That's more than a 15 per cent downgrade over the standard GTX 1070, however the 8GB frame buffer operates at an identical 8Gbps and overall performance should be a noticeable improvement over the GTX 1060 available to the regular Aero 15. Elsewhere, the supporting cast goes unchanged, meaning an Intel Core i7-7700HQ processor, 16GB (2x8GB) of DDR4-2400 memory and a 512GB M.2 SSD. 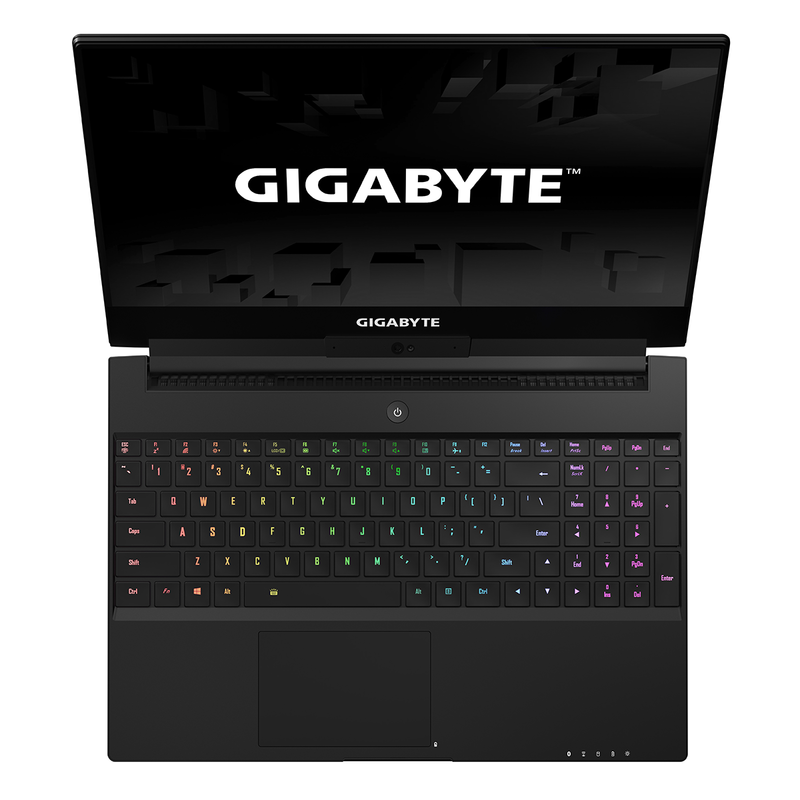 The same 15.6in full-HD IPS panel provides X-Rite Pantone-calibrated visuals, and Gigabyte's ultra-slim 5.1mm bezels continue to make the Aero 15X appear more like an Ultrabook than a gaming laptop. Dimensions of 356mm x 250mm x 19.9mm and a weight of 2.1kg make it one of the smallest and lightest laptops outfitted with GTX 1070 graphics (albeit underclocked) and there's still plenty of room for connectivity. 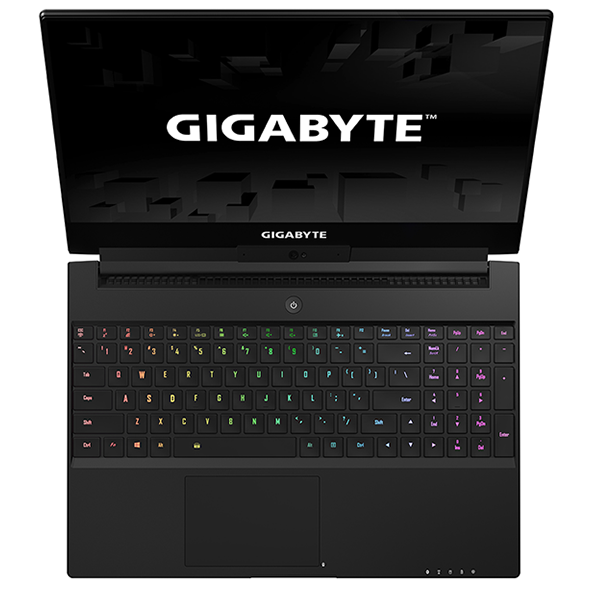 Gigabyte includes Gigabit Ethernet, USB 3.0, HDMI 2.0, mini-DisplayPort 1.3 and an audio jack on the left side, while over on the right you'll find an SD card reader, USB 3.1 Type-C with support for Thunderbolt, two USB 3.0 ports, as well as a connector for a 200W external PSU outfitted with a further USB charging port. The laptop's usability is a known quantity - you can revisit our review of the original Aero 15 for a refresher on the backlit keyboard and trackpad - but there are one or two other elements we'd still like to see improved. The display hinge on our review sample isn't quite rigid enough, resulting in the panel inadvertently shifting position when the laptop is moved about, and the 64-bit installation of Windows 10 isn't as clean as we'd like. Gigabyte refrains from installing a pesky third-party anti virus, yet for reasons unknown it continues to clutter the desktop with icons, including some for legacy apps such as Internet Explorer and Media Player. With the pre-amble out the way, the big questions all revolve around the GeForce GTX 1070 Max-Q. Is it a significant step up from GTX 1060, and how does it effect temperature and battery life? Let's get some answers.